The symbolism of our country’s flag invokes lots of great debate these days. For the most part, I think I’ve taken it for granted. 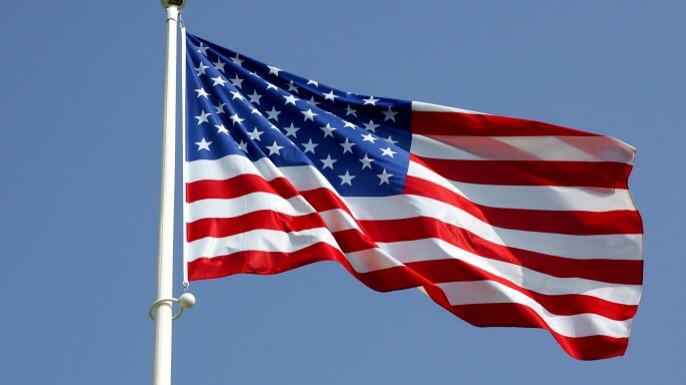 Our flag has looked the same for the vast majority of my life: stripes and 50 stars. As a student I dutifully pledged my allegiance to it, as a Girl Scout I learned to revere and respect it, as a teacher I continued to pledge my allegiance to it. Honestly, as a kid I recited the words by rote and never stopped to think what I was saying each morning. Our country is a Republic. The idea is that the people hold the power to elect representatives to act on our behalf. It’s a very important concept framed within the Constitution and further empowered by the Bill of Rights. All citizens are to be treated equally. But there has never been total equality in our country. The Native Americans were not treated at all well by the explorers and settlers. Africans, and other races, were brought to this country unwillingly and treated as pieces of property rather than human beings (chattel). Waves of immigrants, from whom most of us are descended, were each treated scornfully when they settled in this country. We learned to be wary of people who were different. Learn is the key word here. We have learned to be xenophobic and intolerant. I digress. To me, the flag represents all that is good about our country, all that it promised our families who immigrated here. It represents freedom: the freedom to worship as one pleases, the freedom to work as one pleases, the freedom to believe as one pleases, etc. The current leader of our country uses the flag to suit his whims. He feels it only represents the military, law enforcement and first responders. With all due respect to the aforementioned groups, I feel the flag represents each and every United States citizen. Each of us is important to the fate of our country. Do not let this debacle divide us. I’m sure there are people who will disagree with me or twist my words. This is my opinion. Each of us is entitled to one. That’s the beauty of this country. I don’t mean to slight the military. Our flag is an important military symbol, I get that. I’ve attended several funerals conducted with military honors, including my dad’s and uncle’s, and those flags mean a great deal to me. But don’t forget, our flag is supposed to safeguard “liberty and justice for all.” Not all citizens of our country are afforded those rights. Ask Matthew Shepard’s parents, Ryan White’s parents and myriads of others. If you only kneel to pray, that’s awesome. Don’t forget those pesky Pilgrims came to America for religious freedom. Yes, indeed. Our flag assures your right to pray as you wish. Don’t hide behind the flag and don’t make it into something it isn’t. And, Lord knows, do not try to force your skewed opinion on me. All of us citizens are afforded the same rights; it’s time we ensure everyone receives them. Oh yeah, the whole Betsy Ross story is a myth. Be careful. Just because you’re taught something doesn’t mean it’s accurate or correct. This entry was posted in Flag, Freedom, Patriotism and tagged divisiveness, equality, Flag, Freedom, justice, pledge. Bookmark the permalink.